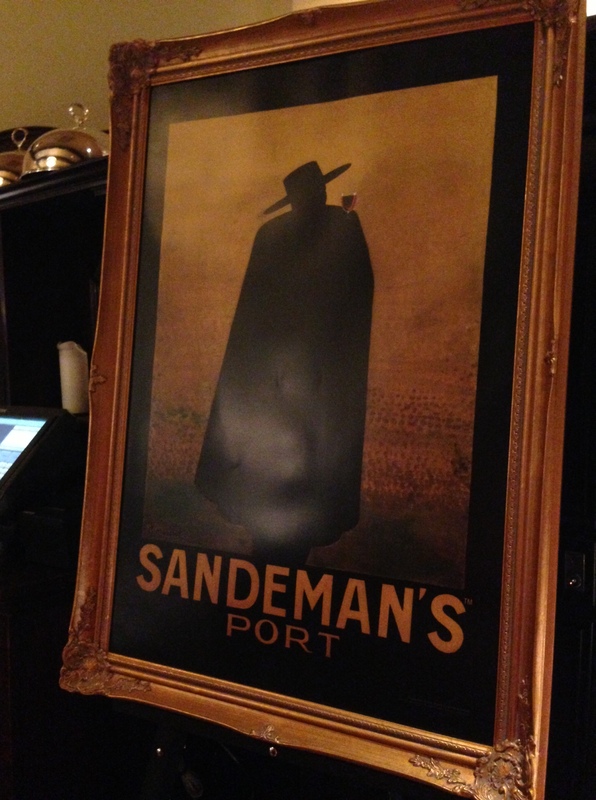 Went to a great dinner last night with Sandeman port to try the newly-declared 2011 vintage. When a grape-growing year is particularly good, they “declare” it as a vintage year and use only that year’s grapes in the bottle (Champagne does the same thing). We tried the 2011 which was full of fresh red berries, black peppercorn and purple wildflowers. 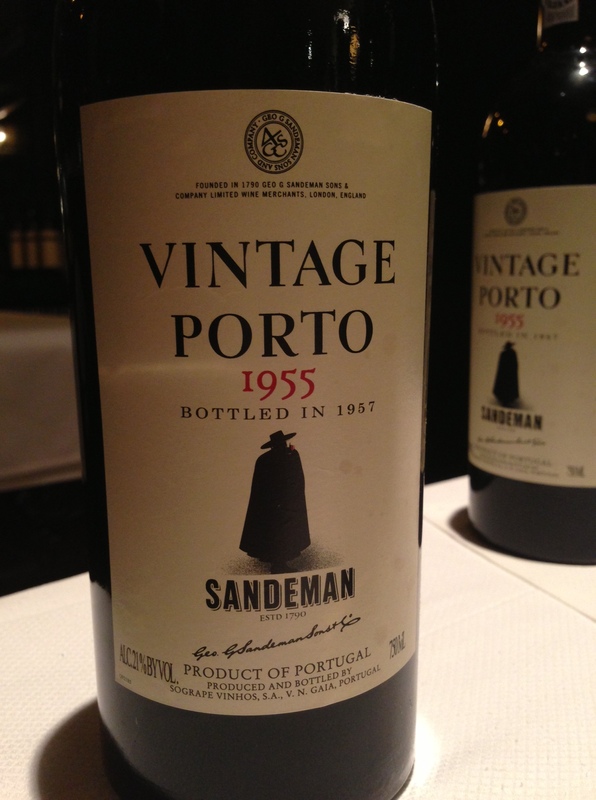 But even cooler, we got to try a few vintage Sandeman ports going all the way back to 1955! We tasted through the 2007, 1997, 1980, 1977, 1963, and the 1955, which is definitely the oldest port I’ve ever had. I think I’ve had one Champagne that was from the 20s, but not wine. They call these library ports so that’s why they decorated the tables with books (even the menu was printed on a bookmark). It all felt very Harry Potter in a way, which makes complete sense since JK Rowling lived in Oporto, Portugal and got a lot of the inspiration from the stuff in that town. In fact, when I was there last September, someone told me that Lord Voldemort was inspired by the caped dude on the Sandeman label. In Oporto they have lots of billboards with the mysterious caped guy looming over the hills, and more brightly-caped students flood into the streets when they graduate. George Sandeman was at the dinner and told us that this artist George Massiot Brown was commissioned to create the caped guy in the 1920s for a newspaper ad, and Sandeman then took the visual and used it as their logo. Pretty cool. Tags: harry potter, jk rowling, lord voldemort, port, Portugal, vintage, wine. Bookmark the permalink. Incredibly informative. One of my closest friends tries her best to clean out our local port stock, so I may try to track the 2011 down for us to try together. I agree, very informative! 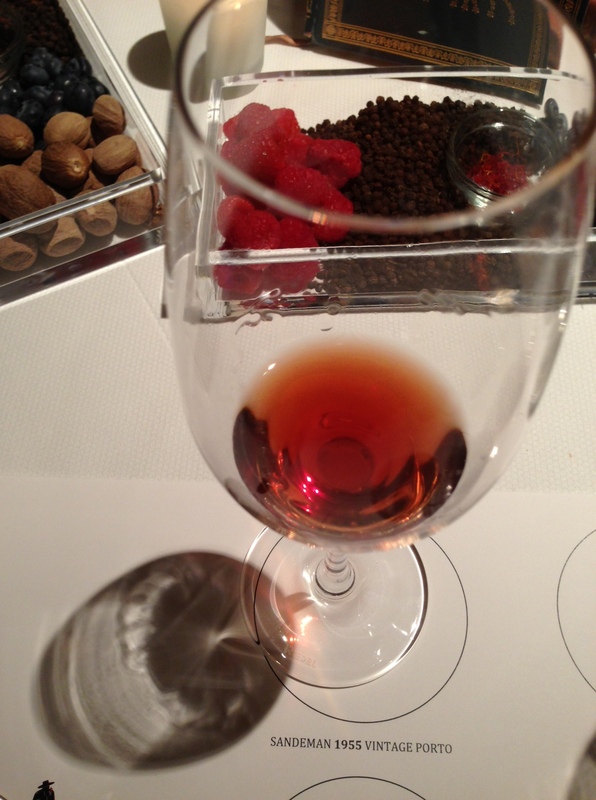 Trying vintage ports is not something you would come across at tastings in Oklahoma. Very impressive. And, I’m wondering how I get my hands on a replica of that Sandman print? I totally want one! I bet they sell them, maybe try eBay? 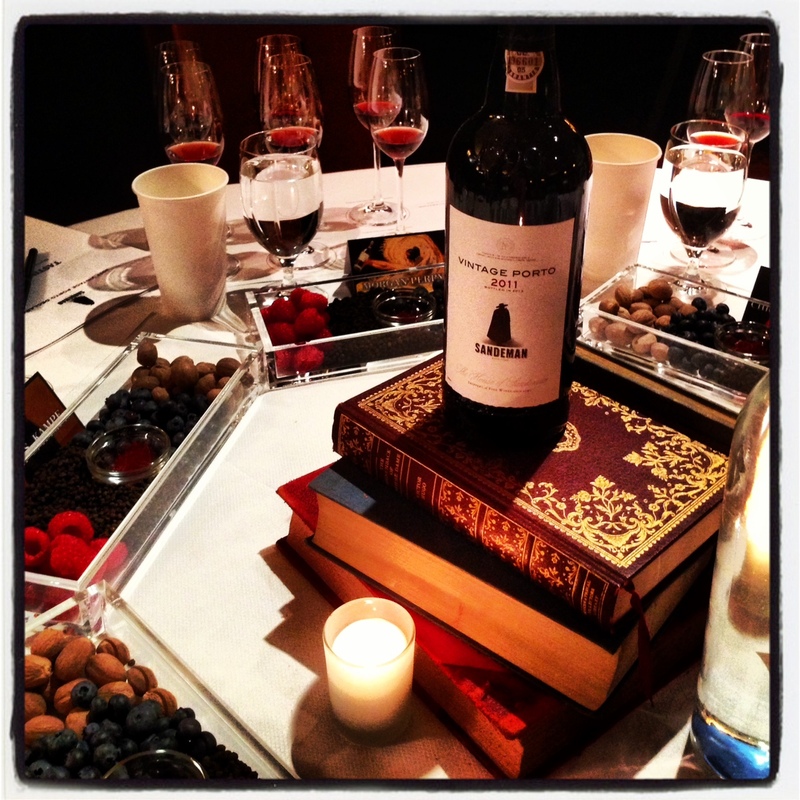 Great post on what it looks to have been a great Port tasting! Harry Potter and Port now there’s a correlation I didn’t see coming.